Rosmini College entertained Liston College in a Boys Auckland Premier Basketball competition on Friday night. Both teams had a 5-4 record entering the game and appear to be in a three-way battle for the fourth play-off berth with Onehunga. Westlake, Rangitoto and Auckland Grammar look to have the top three places secured. Taine Wattie scored a couple of threes in the early exchanges to ease Rosmini to a 19-11 first quarter lead. Liston captain Logan Yelovich was a constant threat for the visitors and with Jayden Johnston scoring seven straight points late in the half the Rosmini lead was trimmed to just four points, 31-27 at the interval. Exchanges were even in the third quarter, Rosmini disrupted by having to sit the influential Nathan Curran after picking up his fourth foul but still ahead 47-43 at three quarter time. Massey opened the final period strongly and a triple from Bailey Rerecich took the visitors into the lead, 48-43. This drew an immediate response from the Saints as Wattie was fouled whilst scoring, knocked down the free throw and then looked on as Kruz Perrott-Hunt scored from behind the arc. Hunt had had a quiet game but he unleashed ten points in the quarter, Wattie and Peter Jenkins provided good support and Rosmini were able to secure a valuable 74-59 victory. The score line slightly flattered the hosts who only pulled away in the final three minutes after being given plenty of problems by Liston. 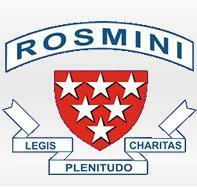 Rosmini College 74 – Wattie 27p, Perrott-Hunt 12p, Jenkins 10p.